I’ve successfully changed the code on the player avatar(currently represented by a small sphere) and the poppies to make them children of the Main Camera. This allows me to move the camera around without having to adjust player and poppy positions. 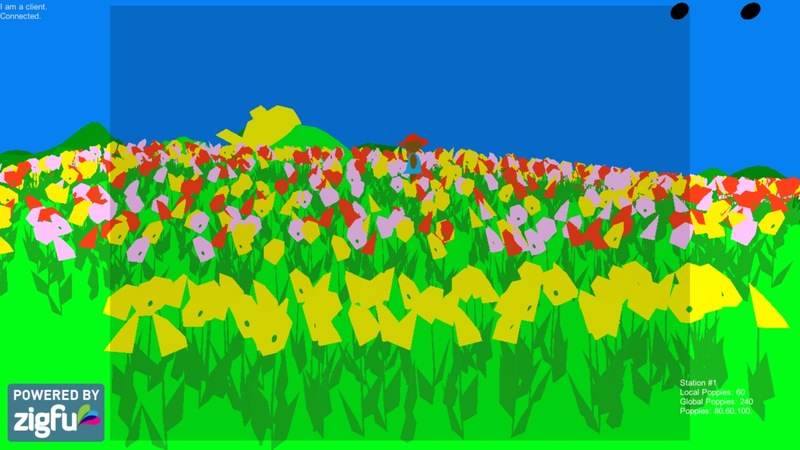 The relative positions of the player and poppies are still hard coded ( -10 to 10 , for example) so I would like to figure out a way to a place them relative to screen width and height. That way the code does not need to be changed when the camera’s field of view is adjusted.